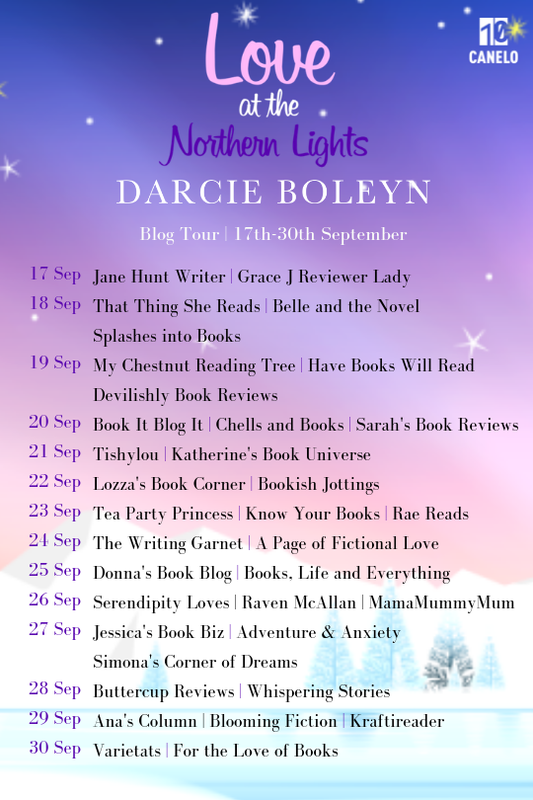 Blog Tour || Love at the Northern Lights by Darcie Boleyn - Book Review. 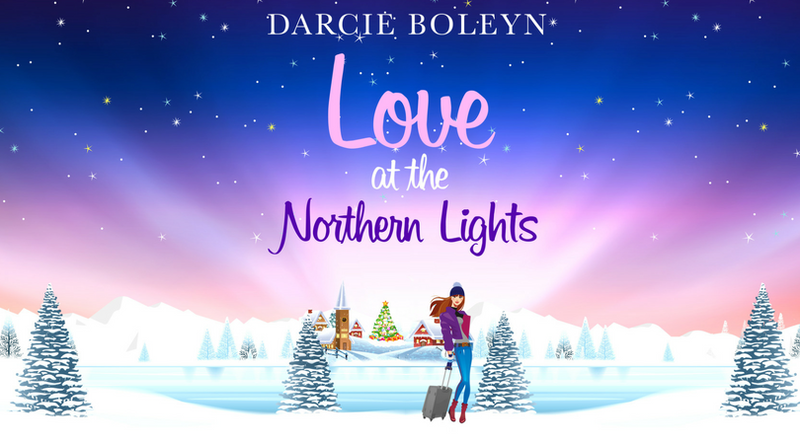 There's something about the colder weather that makes me want to curl up with a book, and Darcie Boleyn's Love at the Northern Lights is perfect for when the temperatures drop! Runaway bride Frankie Ashford hops a plane to Norway with one goal in mind - find her estranged mother and make peace with the past. But when a slip on the ice in Oslo lands her directly in Jonas Thorsen's viking-strong arms, her single-minded focus drifts away in the winter winds. When it comes to romance Jonas knows that anything he and Frankie share has an expiration date - the British heiress has a life to return to in London that's a world away from his own. But family is everything to Jonas and, as the one man who can help Frankie find the answers she's seeking, he'll do whatever it takes to help her reunite with her mother. Now, as Christmas draws closer and the northern lights work their magic Frankie and Jonas will have to make a choice... play it safe or risk heartbreak to take a chance on love. As Autumn has now enveloped us, and the darker nights are drawing in quickly, my preference for reading material changes. I'm not really in the mood for reading about sociopaths and murderers lurking in the shadows - instead, I tend to opt for what I like to refer to as 'cosy books'. Love at the Northern Lights fits the bill perfectly. (Also please just look at that cover, it's stunning!). Frankie Ashford is supposed to be getting married, but as she stands in her wedding dress, just minutes before the ceremony, she knows it is a mistake. Taking her life out of her grandmother's control and into her own hands for the first time, she leaves - hopping on a plane to Norway, where the mother she has never known lives. With no contact between the two since a card on her 18th birthday, Frankie isn't even sure her mother will want to see her - but it is a chance she has to take. When she meets Jonas Thorsen, though, she finds another reason to remain in the icy-cold country, but with such vastly different upbringings and lifestyles, can the two really ever connect? I really enjoyed the story of this. Unlike a typical romance novel, this deals with some pretty heartwrenching themes, and I loved the (metaphorical) journey Frankie, and her mother, went on. This is a novel about laying ghosts to rest, allowing yourself to be vulnerable, and embracing a future that doesn't come with a detailed plan. I really enjoyed the connection between the two women; it was lovely to have the main focus of this book really on them reconnecting and opening up to each other. The setting of this book was absolutely perfect. My favourite scenes involved Jonas taking Frankie and her mother to see the Northern Lights - an absolute dream of mine! - and the descriptions of the husky rides and the snow-covered scenery got me feeling very Christmassy. This is what I mean by it being a cosy book, it makes you feel warm inside and is just perfect for the winter months. Unfortunately, I'll now have to force my husband to book us a holiday in Norway, what a shame. The characters in this all felt very well-developed and interesting. I was fascinated by Frankie's overbearing grandmother, and the disastrous decisions she had made. Her influence on Frankie's life was absolute, and I could really picture her clearly. I also just really loved Frankie's parents, they seemed like such supportive and warm-hearted people. I really liked how the subject of Frankie's wealthy upbringing was handled. Despite coming from money, she was not at all spoilt or bratty. It was interesting to see that it was Jonas who was more concerned with her money than she was. 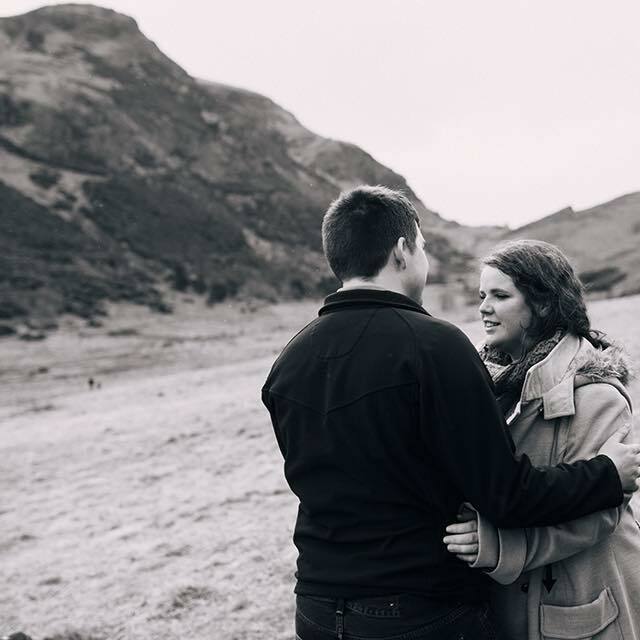 It was also a reminder that money doesn't buy happiness - Frankie had everything money could buy in her childhood, but didn't have the one thing she wanted - her mother. The only criticism I have is that in the middle section it did feel a little repetitive. Frankie was clearly going through a lot and had to process a lot of information, but it did end up feeling I was being constantly reminded that she'd 'missed out' on her mother. There was quite a lot of time dedicated to what she was thinking, rather than any action or dialogue taking place. I don't think these thoughts needed reiterating quite as often as they were, but I can appreciate that Frankie would have been confused and overwhelmed with these emotions. I also thought that the climax of Frankie and Jonas' will-they-won't-they story was slightly rushed; it felt a bit unnatural considering the thought processes they'd had throughout the book. Overall though, I enjoyed this a lot. I also love that the title doesn't necessarily just relate to romantic love! There is so much more to this than 'boy meets girl'. 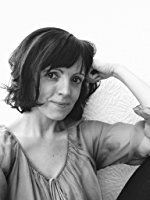 It is a heartwarming, uplifting story about forgiving yourself and moving forward, which was a pleasure to read. I'll definitely be checking out more of Darcie Boleyn's work! Be sure to check out the other blogs hosting Love at the Northern Lights on this tour!